So in case you missed it, the Atlanta Falcons won the Monday night football game with a decided 45-32 victory over the New Orleans Saints. But who won last night's presidential debate? Well, while the overwhelming consensus is that Hillary Clinton is far and away the winner, there were some who thought Donald Trump held his own and got in some pretty good zingers and points, too, with Trump's strongest performance of the debate taking place at the start of the evening. 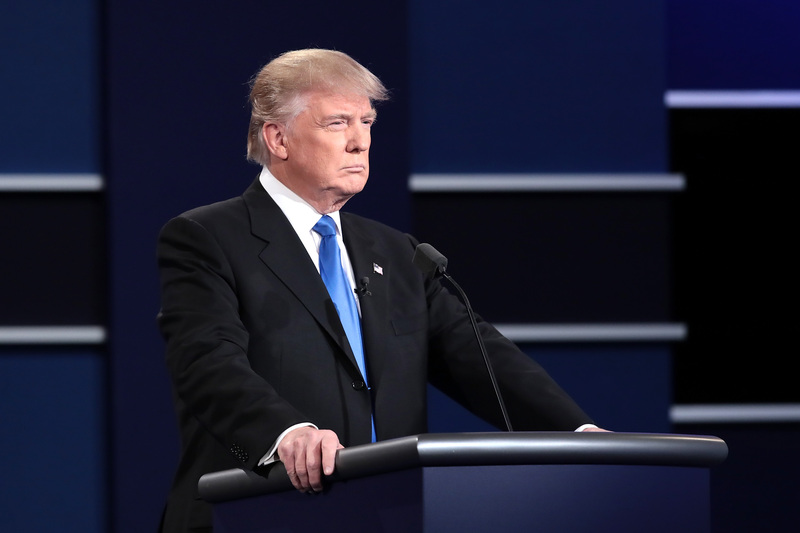 The first presidential debate, replete with an explosive amount of back-and-forth and plenty of outbursts from Trump (he reportedly interrupted Clinton 51 times), did not disappoint viewers who were expecting to witness some live fireworks. Trump was full of straw man arguments and a bevy of outlandish statements, with some highlights including the moment when he declared he has a winning "temperament," when he falsely accused Clinton of fighting ISIS her whole life, and when he said not paying federal income taxes makes him "smart." But in the midst of all that banter, Trump's comments about outsourcing and the dangers the Federal Reserve could cause if they do not raise the interest rate, rang true with some financial experts. Trump's statement that the country is in a "big, fat," (Trump seems to really like that adjective) "ugly bubble," is a concern shared by economists who are worried that borrowing costs could continue to rise along with risky investments. In addition, Trump also went hard on an issue that is likely to resonate with millennials, a demographic that is still struggling with low-wage, and unsteady employment. "We have to stop our jobs from being stolen from us. We have to stop our companies from leaving," Trump said in the opening portion of the debate. While it might be hard to imagine that one who could joke about the merits of avoiding taxes could provide sound advice on business reform, Trump's mention of a plan to impose taxes on businesses that want to earn profits outside of the U.S. sounds like it might have some merit. Clinton, who talked about investing in infrastructure, helping to make the economy fairer, closing the gender wage gap and profit-sharing, made some strong points about the economy as well. She also segued with an attack on the 2007 housing collapse, which Trump had reportedly been supportive of, as well as Trump's proposed lowering of the top individual tax rate from 39.6 percent to 33 percent. Many feared that Trump might be graded on a curve — namely, that if he could keep good behavior, he would be considered a victor. And while he didn't exactly embody the image of great etiquette, and often contradicted himself, at least he made a few solid and noteworthy points.